If they’re not easy to get out and put away, those games just won’t get used as much as they could and should. We keep all our games in one central spot that everyone can get to, the front foyer closet. 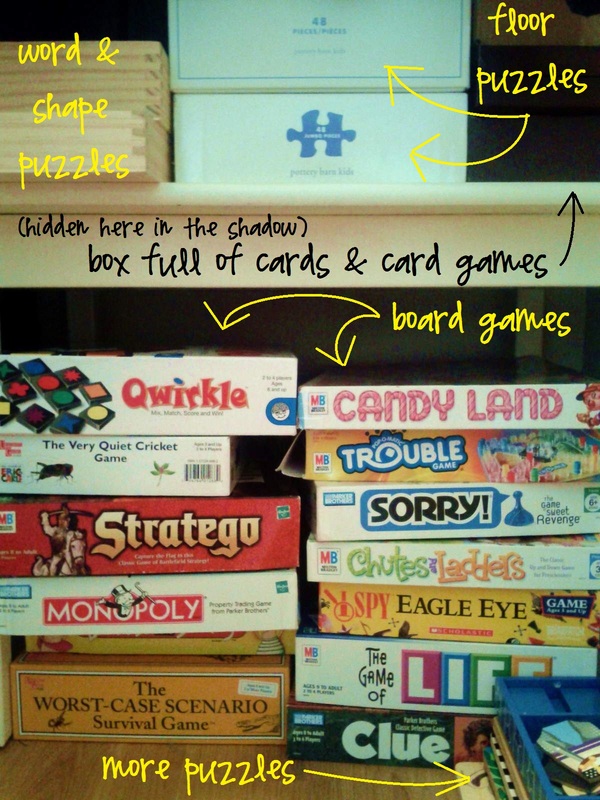 The games and puzzles are stacked down low, where even our four-year-old can easily get the one he’s looking for without help. He can also put the game away by himself, a big plus in this mamma’s book. I also rotate the games occasionally so the same few don’t get all the love. 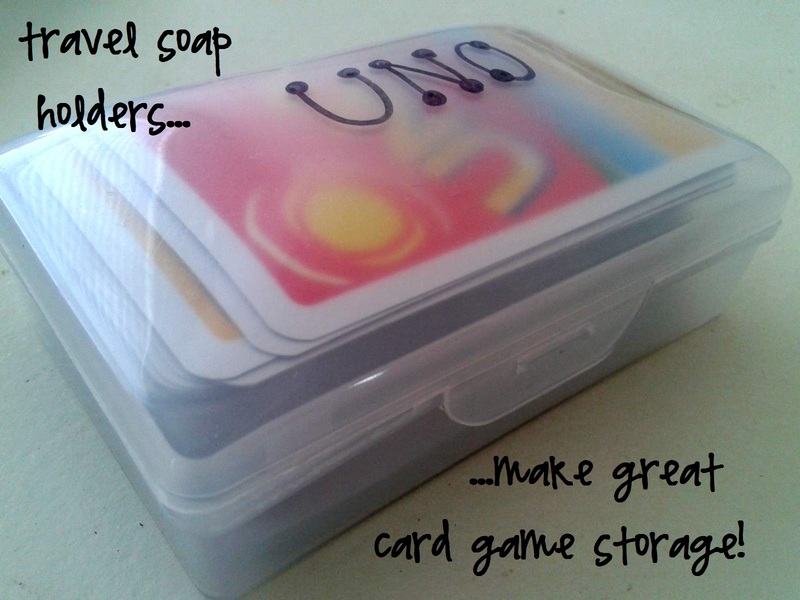 And we use travel soap holders for cards because it’s tough to get the cards back in the boxes, and rubber bands break too easily. How can you make your kids’ games easier to get out? …And to clean up?! 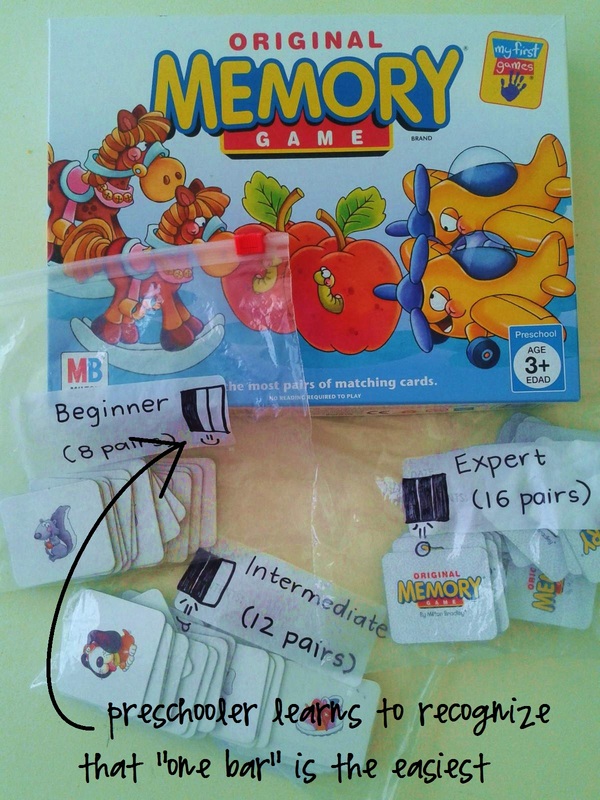 Now granted, I can’t remember the last time our eight-year-old asked to play Memory, but there was a season when both he and his four-years-younger brother were simultaneously into it. The problem was that Big Bro was much better at it, naturally, so I divided the cards into three different play levels. I also included a visual difficulty “bar code” so even though Li’l Bro is not reading yet, he can still grab an “easy” or “medium” level bag. What simple modifications can you make to make your games age appropriate ready? Okay, the games are already fun for kids… But you can weave love and memories into game playing too, I think, by adding a little whimsy. 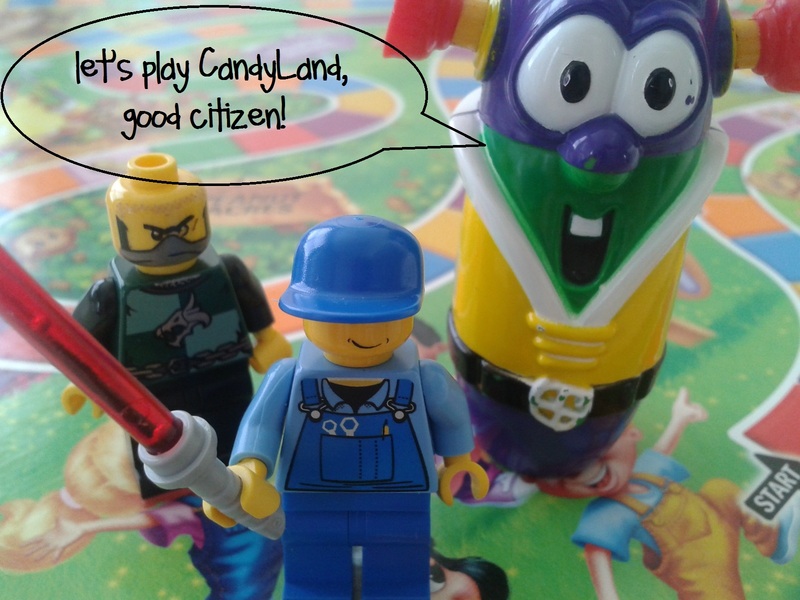 So a lot of times when we play CandyLand or Chutes and Ladders, everyone gets to choose his own play piece action figure. I’m always amazing at how much funnier and more wonderful a game seems with this simple tweak! Please do come back and tell me this one: How did your kids respond when you let them choose a whimsical game piece?! So, anyone else there have tips and tricks to make your games work better for your family? Do tell!